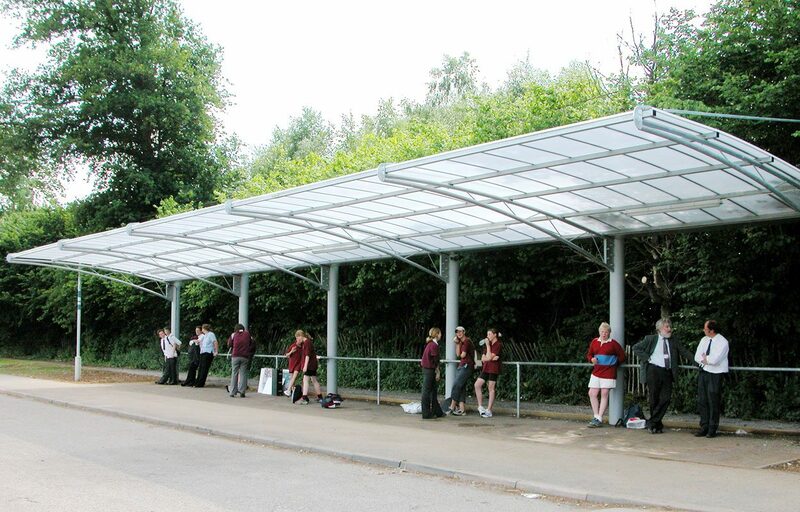 Cantilevered school bus shelter for academy school. 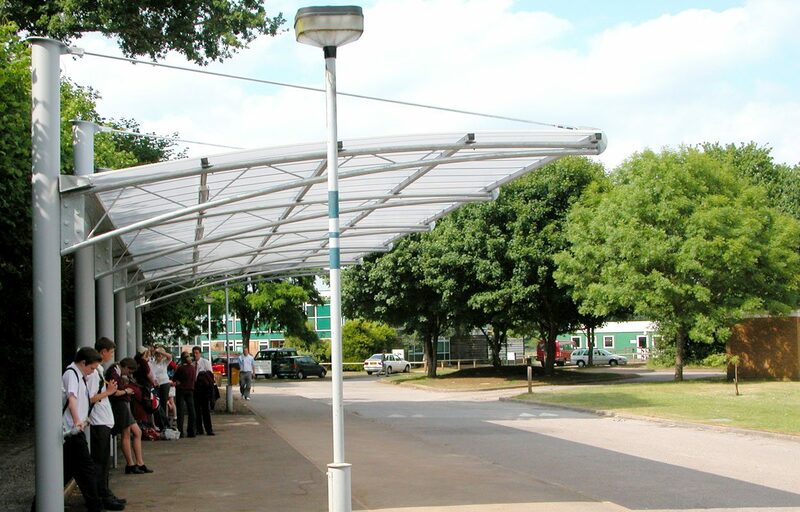 Fordingbridge designed and built a steel cantilevered trellis canopy to create a hospitable waiting area for students, staff and visitors. Ideal for covered waiting areas or walkways, the cantilever trellis design is perfect when space, or price is at a premium. The design of the structure gives the advantage of removing one row of columns whilst also enhancing the aesthetics of the canopy. Either a polycarbonate or fabric roofing solution can be utilised to complete the structure, depending on your specific requirements. 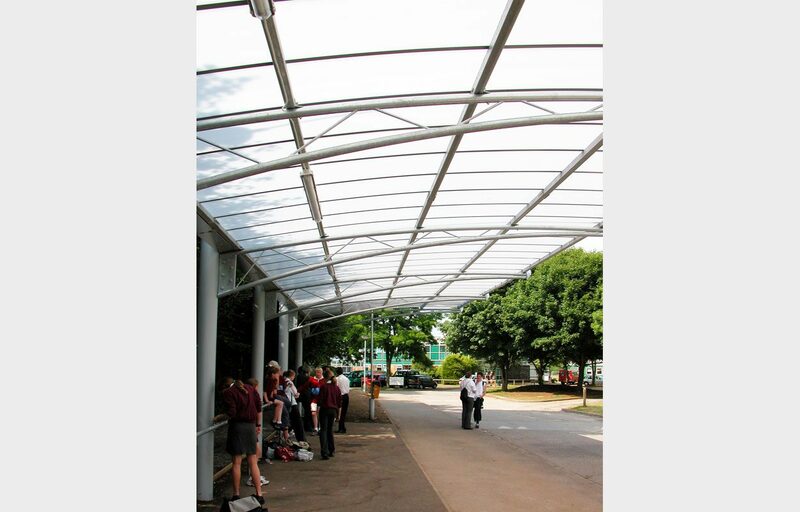 Fordingbridge designed and built a steel cantilevered trellis canopy to create a hospitable waiting area for students, staff and visitors.